Unfortunately, SpectraMagazine hasn't got back to me and this makes me sad. Not just because I'm not going to get To Reach the Dawn published (yet), but because I'd really hoped this magazine went far. I've been behind them almost from launch and was hoping for a long-term relationship. To see it lose to the current ecomonic climate hurts both the writer and the sci fi fan in me. But the closing of one door means the opening of another. I'm going to re-edit TRtD again, tighten the pose a little more and get someone to beta it for me, then I'm going to submit it to one of the big guns - Tor. Yes, it's aiming for the moon but I believe in this story, and I believe in myself. It might sound arrogant, but I do think I have what it takes to play in the big league. So I'm going to try, because if you never try you'll never know. Hey ... revising and resending are just business as usual for a writer. Don't let it get you down. It's the ones who give up that don't succeed. Keep at it, I'm sure with persistence you'll find a home for your story. And good luck w the Nano! 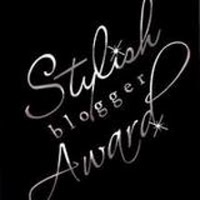 BTW I have a blogging award for you over on my blog, assuming you don't have 'The Versatile Blogger' award already.